From which countries can I receive SMSs? Enterprise WiFi Solutions Product Sheet. How do I buy Prepaid data bundles for my iPad? How do I buy data bundles? How do I connect to the BlackBerry Internet Service? How do I create a new profile on my Android cellphone? How do I deactivate the BlackBerry Service on my phone? How do I get the BlackBerry Service active on my Prepaid cellphone? How do I setup MMS on my Android cellphone? How do I setup internet on my Android cellphone? Apple iPad Pro WiFi + Cellular 64GB 11"
My contract or plan is expiring soon. How do I upgrade my existing contract or plan before it expires? What are Telkom's Unlimited Value Added Services (VAS) and how do I get it? Why should I get a SmartPlan? Are there any limits to what I can buy in Google Play? Can I access Telkom WiFi at any WiFi hotspot? Can I ask for my old number if it's in quarantine? Can I buy additional internet bundles when my internet bundle is depleted? Can I change my deal to a deal I like better? Can I change the time it takes for my phone to go to voicemail? Can I check which service provider a number belongs to? Can I do a SIM swop? Can I make international calls using my cellphone? Can I make voice calls with the SIM cards bundled with internet starter packs? Can I pay my Telkom account over the counter? Can I purchase apps and content when connected to WiFi only? Can I purchase upgrades or content from within an app? Can I send SMSs anywhere outside of SA? Can I set a permanent spend limit more than once in a month? Can I still use my old mobile handset? Can I use Google Play when I'm overseas? Can I use another device to access a Telkom WiFi hotspot? Can I use my internet bundle if I am roaming? Can I use my old SIM card? Can I use this service through WiFi only? Can an outstanding bill or payment arrangement affect my spend limit? Can my main and second devices use the Free Unlimited WiFi at the same time? Do I automatically qualify for an upgrade when I reach month 22 of a 24-month contract? Do I have to RICA when I upgrade my contract? Do I have to go to a Telkom store to upgrade my contract? Do I have to pay to activate Google Play Store Billing? Do I need a special plan for this service? Do I need a specific mobile plan for this service? Do I pay a penalty fee for upgrading? Do I qualify for Free Unlimited WiFi? Do I qualify for the 5 for 50 SMS promotion if I have an messaging bundle? Do the prepaid internet bundles have Night Surfer data? Do the prepaid internet bundles include a modem? Does the Internet Starter Pack bundle have Night Surfer data? Does the WiFi voucher PIN expire? For how long will my phone ring before it goes to voicemail? How are Telkom's mobile-data services billed? How are voice minutes bundles billed? How can I access my Telkom voicemail messages? How can I find out more about my Telkom invoice? How can I talk to, or contact Telkom? How do I activate Call Forward? How do I activate my internet starter pack? How do I block certain calls? How do I buy a mobile prepaid data bundle directly without having to recharge with airtime first? How do I cancel my contract or follow up on a cancellation? How do I check my airtime, data or WiFi balance? How do I connect my Mi-Fi Router? How do I connect to a 1 Telkom WiFi hotspot? How do I connect to a Telkom WiFi hotspot? How do I get Telkom LTE? How do I get connected with Telkom or apply for a new contract or plan? How do I get connected with Telkom? How do I get my voicemail messages off another phone? How do I get my voicemail messages? How do I go about making a purchase for an Internet Starter Pack bundle? How do I install the latest Android OS on my device? How do I know when I have a voice message? How do I know when I qualify for an upgrade? How do I know which service provider a cellphone number belongs to? How do I link a second MAC address to the phone number that has Free Unlimited WiFi access? How do I pay for the Apps and content if I'm on a prepaid plan? How do I send a free 'Call Me' SMS ? How do I set up CLIP (Call Line Identity Presentation) and how much does it cost? How do I set up CLIR (Call Line Identification Restriction)? How do I set up Call Waiting? How do I set up email on my smartphone or tablet? How do I set up itemised billing? How do I set up my Huawei LTE Router? How do I set up my Huawei WiFi Extender? How do I set up my phone to sync my Telkom inbox, calendar and contacts using ActiveSync? How do I setup email on my laptop, cellphone or tablet? How do I top up my Telkom airtime and data online? How do I use email on my cellphone? How do I use the internet on my cellphone? How do Telkom's 'prepaid per second' and 'prepaid per minute' billing options work? How does a Telkom WiFi ad hoc bundle work? How is it possible to go over my monthly spend limit? How long are prepaid internet bundles valid for? How many Telkom WiFi hotspot vouchers can I get each day? How many bills will I get for the MultiSIM service? How many extra devices can I link to the phone number that has Free Unlimited WiFi access? How much Data will I need per month? How much do Apps and content cost? How much do international calls cost? How much does it cost to port? How much does it cost to send an SMS overseas? How much is itemised billing and when will I be charged for it? How much is postpaid billing? How will I know my account has been suspended if my phone was on voicemail? How will I know when I'm about to reach my spend limit? How will charges appear on my bill? How will the Internet Starter pack monthly allocations work? I am on Postpaid, is there a limit on the number of apps I can buy? I am on Prepaid, how I will pay for the apps and content? I am using a Samsung smartphone or tablet and cannot buy apps and content. Why is this? I am using a company BlackBerry (BES) device and cannot buy apps and content. Why is this? I can't connect to Free Unlimited WiFi on my device. What do I do? I cannot send or receive SMSs. What can I do? I didn't purchase my device through Telkom so can I still use this service? I have a Personal plan with Telkom but don't qualify for the Free Unlimited WiFi service. What other options are available? I have joined Telkom's mobile network with my cellular phone number from another mobile network operator. I can't receive International SMS, why? I live in an area covered by Telkom's LTE Advanced network. Will I qualify for the SmartBroadband Uncapped Wireless offer? I normally buy apps and content with my credit card. How do I change my payment method to use this service? If I accidentally delete an app, will I be charged twice to get it again? Is it free to call the Telkom support centre? Is there a limit to the amount of Apps and content I can buy on a postpaid plan? Is there a place where I can find helpful guides on how to configure settings on my device? Is there a price limit set on what I can buy? Is there any price limit? I'm a Telkom prepaid customer. Do I get Free Unlimited WiFi? My area is currently not eligible for LTE Advanced. Who can I contact to query on when my area will get the service? My contract with my current service provider hasn't expired yet. Can I still port my number? On which day of the month does my Telkom debit order go off? Once ported, will I be able to access services that were offered by my previous network operator? What are 1G, 2G, 2.5G, 3G and LTE? What are Telkom's mobile voice short codes? What are Telkom's WiFi bundles? What are the Value Added Services (VAS)? What authentication method is used for laptops? What can I do if I don't get my PIN? What does it mean to port my number? What does 'pro rata' mean? What happens if I don't recharge my airtime after I have reactivated my number? What happens if I send an SMS to an international destination and do not receive any replies? What happens if there is no recharge after the MSISDN has been resumed? What happens in 'cease' state? What happens to free minutes or any other benefits from my previous network operator after I've ported my mobile number? What happens to my LTE Advanced connection if I relocate? What happens to my unique phone number after 90 days of not using it? What happens to the money in my prepaid account if my account is 'ceased'? What happens when I tap or choose 'Refund' after purchasing an item? What happens when my prepaid internet bundle expires and I still have not used up the bundle? What if I want a refund and I've owned the App for longer than 2 hours? What is BlackBerry Carrier Billing? What is Call Forwarding and how do I activate it? What is Call Waiting and how do I set it up? What is Google Play Store Billing? What is LTE Advanced technology? What is SSID and why do I need to know about it? What is Telkom's 'Free WiFi for Everyone' hotspot offer? What is a billing arrangement? What is a billing profile? What is a prepaid data plan? What is a prepaid voice plan? What is a spend limit? What is the Free Unlimited WiFi service? What is the Internet Starter Pack bundle? What is the Saver product? What is the cost of each application? What is the difference between CLIP and CLIR, and how do I set these up? What is the difference between LTE and LTE Advanced Technologies? What is the difference between billable and non-billable Value Added Services (VAS)? What is the maximum ringing period for all handsets on Telkom's mobile network? What is the pre-paid internet starter pack? What is the prepaid lifecycle? What is the voicemail number? What mechanisms are there to protect children accessing adult content? What network do I connect to if I want to use a Telkom WiFi hotspot? What new cellphones can I choose from? What number do I dial for directory enquiries? What radio technology does Telkom's mobile 3G networks utilise? What should I expect to see included on my first Telkom bill? What type of internet starter packs are available? What's the per second rate? When buying Apps and content, what's the difference between the older BBOS devices and newer BB10 devices? When can I port my number? When do I get notified if my account is cancelled? When do I receive my prepaid data? When is it best to contact Telkom customer care? When will I receive the monthly data allocation? Where are Telkom's WiFi hotspots? Where can I buy Telkom WiFi ad hoc bundles? Where can I find out which mobile provider a number belongs to? Where can I get a prepaid internet starter pack? Where can I get the eStamped bank statement guide from ABSA? Where can I purchase the Internet Starter Pack bundles from? Where can I update my Telkom details? Where can I view local and international area dialling codes? Where do I get my MAC address? Where do you offer international roaming and how much do you charge? Which Internet Starter Pack Bundles Telkom offers? Which devices can I use to access the free WiFi offer? Which router do I get with the LTE Advanced service? Who can buy Telkom WiFi ad hoc bundles? Who can purchase the Internet Starter Pack bundles? Why can't I get Apps or content on my business BlackBerry (BES) device? Why has my cellphone been suspended? How can I get connected again? Why is Bill my Telkom account greyed out? Why is LTE Advanced better? Why should I choose LTE? Will I be charged the same rates for out-of-bundle rates, when I've used all my In-bundle Data? Will I get a new cellphone if I upgrade my contract? Will I get a notification when I change my spend limit? Will I lose my existing number and my free minutes if I upgrade my contract? Will my Telkom SIM work with any cellphone or modem? Will my data be carried over to the next month if it is not used up? Can I select any other mobile handset than the one on offer – even if I am willing to pay in any difference? Can I select my own Telkom calling plan for MIX offers (Not Mobile Add on)? For how long after my contract has expired, knowing that any further discounts are being forfeited, will I be allowed to continue on a month to month basis? I am a Vodacom / MTN / Cell C / Telkom Mobile customer. Can I port my existing mobile number into the Telkom Mix iPhone bundle? I subscribe to a Telkom Mix bundle. Can I migrate to any of the new offers? If I have any minutes or data left on my current Telkom Mix bundle by the time I upgrade, can these resources be carried over? What is the benefit of subscribing to the Telkom Mix bundle vs. subscribing to the standalone fixed line calling plans and the Telkom Mobile plans? Will I receive two separate bills from Telkom, one for my landline and one for my mobile? An email was sent to me, but I haven't received it. Why? Can I add an alias to my email account? Can I buy more data when my data bundle has been used up? Can I change my do Fax email address without applying for a new fax number? Can I check online if network maintenance impacts me? Can I get updates on how much data I have used up? Can I link more than one mobile contract to my landline? Can I only get faxes from Telkom numbers? Can I receive a fax from outside of South Africa? Can I receive email when I'm not at home? Can I search for areas with Telkom Fixed Line Alternative (FLLA) and 3G? Can I send a fax with do Fax? Can I use my internet powered by DSL username and password for analogue or ISDN dial-up? Can I use the do Fax service if I don't have a fax machine? Can a customer with any installed base (line, DSL, any Fixed line calling plan) add a “Mobile Add on” contract to their line? Can others check my calendar to see my availability? Do I qualify for a Telkom email account? Does WiFi come standard with all Telkom's internet deals? Does one product from Telkom count as a converged solution? Ever since I had load shedding, my modem does not want to connect to the internet. How can I fix this? For how long will my faxes be stored on the server? From which email address will my faxes be sent? How big is a standard Telkom mailbox? How can I check if I have Telkom signal or broadband coverage at my address? How can I check my internet account usage or buy more Telkom data? How can I check network outages, upgrades and planned maintenance in my area? How can I find out if VDSL is available in my neighbourhood? How can I fix a problem I have with a Telkom service myself? How can I have my emails forwarded to another email address? How can I make sure my EFT or direct deposit payment goes smoothly? How do I access my email when I'm on the move? How do I activate an out-of-office or auto reply? How do I activate my do Fax number after I get the welcome mail? How do I add a new contact to my address book? How do I cancel my Telkom AllAccess account? How do I cancel my Telkom SoftCap account? How do I cancel my Telkom internet account? How do I change the file format of my faxes? How do I check how much data I've used? How do I check if a number is on the Telkom network? How do I forward emails to another email address? How do I get billed for postpaid billing? How do I get the doSupport Plus tool? How do I link my existing email to my Telkom email? How do I log in to doMessaging? How do I obtain my order number? How do I pay my Telkom account by debit order? How do I pay my Telkom account using internet banking? How do I register for postpaid billing? How do I reset my calendar week to start on a different day? How do I reset my internet password? How do I set up Aztech	700WR-3G – 3G/LTE failover? How do I set up a Telkom email account? How do I use and configure my Telkom email? How do I use the doSupport Plus tool? How do I view and pay my telephone account over the internet? How is ADSL speed measured? How is Fibre installed for the first time? How is VDSL different to ADSL? How long will it take for my fax line to start working? How many aliases do I get with my Telkom email account? How much is it to convert to ADSL? How much is the do Fax service? How should I best store my faxes on the server? I am a Consumer customer and run my own business from home. Am I allowed to subscribe to a Telkom Mix bundle / Mobile add on offer? I am currently a dial-up subscriber and I would like to use DSL, can I use my current username and password to access the internet with DSL? I am getting strange error messages when I open my faxes. How do I fix this? I am moving house or moving business. How can I transfer my Telkom account and services to my new address? I am unable to activate my Internet account? I don't have a landline. Why would I want a converged solution? If I don't have any Telkom products or services, can I still get a converged home solution? In which file formats can I receive my faxes? Is Fibre available everywhere on Telkom's Network? Is there a limit to the number of people I can add to a Telkom email mailing list? Is there a once-off installation fee or set up charge? I'm expecting a fax but it's not coming through. What should I do? My current broadband speed seems to be slow, how can I test my speed? My fax attachment isn't opening. What should I do? My internet connection seems slow. Where can I do a speed test? My line is not working at all. How can I report a fault/log a fault? What are the benefits of Fibre for me? What are the benefits of WiFi? What are the limitations on “free bidirectional calling” between your landline and Telkom Mobile number? What are your Value Added Services (VAS) and how much do they cost? What can I do if I have forgotten my username or password? What can impact the speed of my Internet? What do I need for VDSL? What do I need to connect to Telkom's internet service? What does a do Fax number look like? What if I have a problem with my email? What influences the download speed that I can expect with DSL? What is Data Transfer Rate (DTR)? What is a Basic Voice Line? What is a Telkom email account and how is it different to doMessaging? What is a a doFax? What is a converged home solution? What is a do Fax? What is a news server and how can I access it? What is an .htaccess file? Does Telkom support this? What is an ISDN B channel? What is an ISDN D channel? What is the SmartInternet Plan? What is the difference between a PDF and a TIFF? What is the difference between a username and a login? What makes Telkom's converged solutions unique? What plan can I get that includes Telkom's Three-Way Calling service? What speeds can I get on VDSL? What telephone number do I call to report a fault on my service? When would I want postpaid billing? Where can I find help to connect my devices via WiFi? Where can I find local copies of popular files? Where can I get Adobe Reader to read faxes in PDF format? Where can I get a comprehensive Broadband self-installation guide? Where can I reset my ADSL or email password? Which converged solutions does Telkom have for my home? Who do I call if I have a problem with a shared web hosting solution? Who do I contact if I have a problem with my Domain Name Service (DNS)? Who do I contact to request a Domain Name Service (DNS)? Why am I getting somebody else's faxes? Why is fibre better than ADSL? Why is my ADSL line so slow? Will I get two separate bills with my converged solution? What is Telkom Business Circle and what makes it great? What is the price difference between 3G and LTE? Are international calls also included in the voice portion of the Smart OneRate calling plans? Can I activate the MultiSIM service as an existing subscriber? Can I add or remove a product from my Fixed­ Mobile deal? Can I apply the Smart OneRate plan while on another contract like a SmartPlan 50 or SmartSaver 50? Can I backup multiple versions of a file on PC Backup? Can I choose my own phone on the Unlimited Lite plan? Can I choose to only get the voice or data portion of the Smart OneRate Top Up plan? Can I connect my mobile phone to the LTE devices via WiFi and get LTE speeds? Can I get a cost estimate for non-voice services from Telkom? Can I link a MultiSIM or Data MultiSIM to the SmartBroadband Uncapped Wireless service? Can I migrate from a SmartPlan 50 to Smart OneRate Top Up plan? Can I migrate from existing SmartPlans or Completely Unlimited to Unlimited Lite? Can I put SmartInternet Unlimited into a mobile phone or tablet? Can I use all my SIM cards at the same time if I have the MultiSIM service? Can Smart OneRate be enabled for MultiSIM? Can a secondary SIM card exist on its own? Can a secondary SIM subscribe to BlackBerry Internet Services (BIS) on the MultiSIM service? Can existing Telkom customers apply for the SmartBroadband Uncapped Wireless service? Can you convert or migrate within the MultiSIM group? Do I get access to free Unlimited WiFi on the Smart OneRate Top Up plan? Do I need a license for each PC Backup client? Do I qualify for free on-network calls on the Smart OneRate Top Up plan? Do I still need to purchase airtime and convert it to a Voice minutes bundle on Prepaid and Saver/ Top-Up? Does FastNet offer a dedicated support service? Does FastNet offer guaranteed speed? Does PC Backup offer any guarantees regarding my data once it is saved? Does PC Backup perform off site backups once the data is backed up to your servers? Does Telkom offer IT and cloud services? Does Telkom offer Softline business applications? Does Telkom offer a solution for gate access control? Does Telkom offer services for competition lines? Does Wi­Fi come standard with all Telkom's internet deals? Does a FastNet VPN solution integrate with VPN Supreme? Does the Unlimited Lite plan include international calls? How I do know which voice bundle to purchase? How I do purchase voice minutes bundles? How are voice calls billed for on the Smart OneRate Top Up plan? How can I contact the 'Data Centre Basic Hosting' support team for assistance? How can MultiSim Value Added Services (VAS) benefit my business? How can the MultiSIM service benefit me? How do I build my own convergence deal? How do I cancel my Telkom business account? How do I check my voice minutes balance? How do I connect to Telkom Business LTE? How do I get connected with Telkom or apply for a new business contract or plan? How do I know if I qualify for the MultiSIM service? How do I make changes to who is allowed to access my rack at the Basic Business Hosting Facility? How do I report a problem with FastNet? How do I reset my ADSL network? How does Smart OneRate Top Up work? 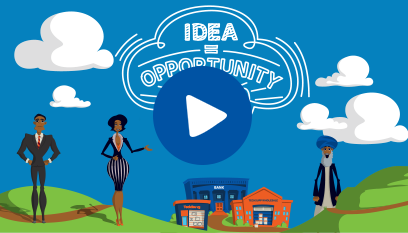 How does Telkom support emerging entrepreneurs? How does this deal form part of Telkom's strategy to increase profitability and improve efficiencies? How long is the Smart OneRate Top Up contract? How long is the Unlimited Lite contract? How long will it take for me to receive my SmartBroadband Uncapped Wireless service order? How many SIM cards are allowed in one MultiSIM group? How many secondary SIM cards can be linked to the primary SIM on the MultiSIM service? How many wireless devices can I connect to my LTE modem? How much does SyncVault cost? How much does the MultiSIM service cost? How much does the ZyXEL SBG3300-N Modem cost? How unlimited is SmartInternet Unlimited? How will I know if my area is eligible for the SmartBroadband Uncapped Wireless service? How will the acquisition impact staff? How will your products and services be integrated, and what can we expect to see in terms of new products and services? I have a large amount of data to be moved initially on to PC backup; will it have to go over the internet? If Business Connexion has so much potential, why isn't Telkom currently on that growth path? If I already have more than one standalone service from Telkom, does this count as a converged solution? If I don'​t​ have any Telkom products or services, can I still get a converged business solution? Is SmartBroadband Uncapped Wireless available across Telkom's entire mobile network? Is SmartInternet Unlimited subject to network limitations? Is airtime transfer allowed on Unlimited Lite? Is porting supported for all SIMs in the MultiSIM service? Is the FastNet backbone based on Multiprotocol Label Switching (MPLS) technology? Is the SmartBroadband Uncapped Wireless offer available on prepaid as well? Is there limit of the number of voice bundles and denomination I can add or purchase? I'm a Business Connexion customer, what's in it for me? I'm a Telkom customer, what's in it for me? May I bring my own racks into the Basic Business Hosting facility? My bill is difficult to understand. Do you have an invoice guide? Please tell me more about your diverse partner ecosystem. Please tell me more about your unrivalled infrastructure and reach. What will be the contract duration period offered on the SmartBroadband Uncapped Wireless service? What IT services does Telkom offer businesses? What TeleVoting services does Telkom offer? What Unified Communications solutions does Telkom offer? What about Business Connexion's management team? What are Telkom's Global Services? What are secondary SIM cards? What are the benefits of SmartInternet Unlimited? What are the benefits of Wi­Fi? What are the benefits of an Unlimited Lite contract? What are the capabilities of a primary SIM? What are the capabilities of a secondary SIM? What are the details of your enduring track record? What are the optional and chargeable Value Added Services (VAS) for the Smart OneRate Top Up plan? What are the out-of-bundle rates for secondary SIMs using the MultiSIM service? What are the type and size of racks that are available for lease in the Business Basic Hosting facility? What are voice minutes bundles? What broadband technology supports the SmartBroadband Uncapped Wireless service? What converged solutions are there for my business? What device comes with SmartInternet Unlimited? What devices are able to use the shared resources from my MultiSIM? What does BizTalk offer me? What does complete / single accountability mean? What does my big business get with Supreme Call? What happens after my SmartInternet Unlimited account is restricted? What happens after submitting my application for the SmartBroadband Uncapped Wireless service online? What happens if one of the GSM operator networks fail or the signal is lost? What happens to the various brands? What happens when the resources on the MultiSIM have run out? What international calling services does Telkom offer? What is ADSL? How would it benefit my small business? What is International Free Call (ITF)? What is Mail Manager Plus? What is SmartBroadband Uncapped Wireless? What is Telkom's Single Number service? What is Telkom's growth strategy? What is a Diginet leased line? How does it benefit a medium to large business? What is a Telkom email account? What is a converged business solution and how will it benefit my business? What is a primary SIM card? What is de-duplication and is it supported on PC Backup? What is the Smart OneRate Top Up plan? What is the deal's attraction for shareholders? What is the difference between the Interconnect link and the Backhaul link? What is the vision for the combined company? What packages can the primary SIM be linked to? What spectrum band will Telkom LTE support? What teleconferencing services does Telkom offer? When do voice minutes bundles expire? When on site at the Basic Business Hosting facility, where am I allowed to park my car? Where can I collect my SmartBroadband Uncapped Wireless order from? Where can I find a breakdown of Telkom's costs and tariffs? Where can I find a breakdown of Telkom'​s​ costs and tariffs? Where can I get the MultiSIM service? Which resources of the MultiSIM are shared? Which router do I get with the SmartBroadband Uncapped Wireless service? Which subscribers are eligible to purchase voice minutes bundles? Who can get T​elkom's​ global services? Who should get the Smart OneRate Top Up plan? Who will I deal with going forward? Why did it make sense for Telkom to acquire Business Connexion? Why do I get multiple bills after I move premises or change my service? Why is my phone line suspended? Why should I choose PC Backup if I already save my data to a drive? Why should I use PC Backup? Why should I use Wi­-Fi for my business? Why was Business Connexion delisted from the JSE? Will 2G/3G failover be supported on the SmartBroadband Uncapped Wireless service? Will Business Connexion remain a listed entity? Will FUP be applied to the SmartBroadband Uncapped Wireless service? Will I be able to call a Telkom mobile number if my Telkom Mobile minutes are depleted? Will I be able to make international calls with my voice minutes bundles? Will I be able to transfer my voice minutes bundles? Will I get a notification when my minutes are depleted? Will I get one invoice? Will I lose the carry-over voice minutes bundles when I cancel the recurring bundles? Will Unlimited Lite be enabled for Multi SIM? Will all SIM cards that are part of the MultiSIM service share Blackberry Internet Services (BIS)? Will the SmartBroadband Uncapped Wireless service speed be capped? Will the unlimited Value Added Services (VAS) be available to secondary SIM cards on the MultiSIM service? You say you have significant brainpower under one roof, please tell me more.